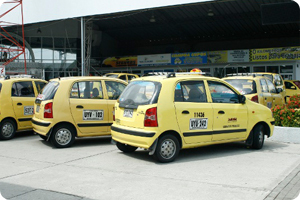 Autotaxi Ejecutivo is the biggest taxi company in the city of Barranquilla with 1800 cars. We have chosen Autocab because of its technology and system efficiency. Since we have installed Autocab system, Autotaxi Ejecutivo has become the leading taxi company in the country. Before we installed Autocab we had 800 vehicles at the moment we have 1800 cars 1600 of them on data. We chose D23 terminal as this was the terminal that fit to our requirements.